This week members of international jewelry industry come to Las Vegas to attend a series of trade shows that are informally known as “Las Vegas Jewelry Week.” All totaled it is by far the largest and most important jewelry industry event in North America. The importance of the week in regards to the industry can’t be underestimated. Despite the amazing growth in China and India, the U.S. is still the world’s largest jewelry market. Retailers are here to buy products for the all-important Christmas season. These shows will go a long way to determine the outlook for the rest of the year. 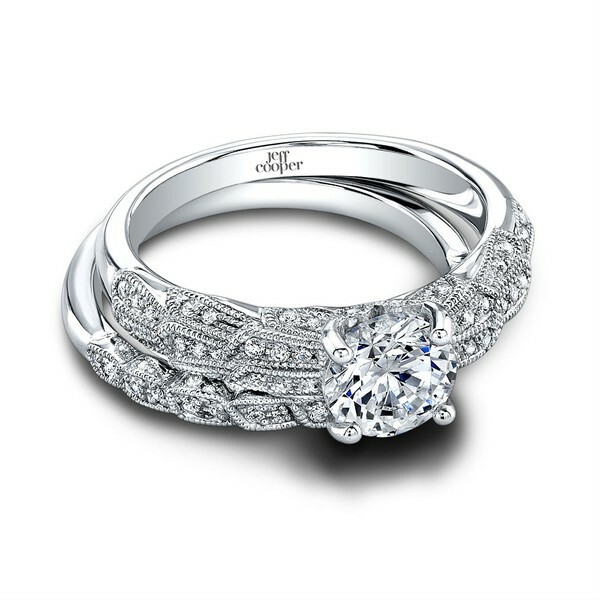 NYC Diamond Blog will keep you informed on all developments including innovative new designs, and style trends as they develop. The first of the major jewelry shows opened Tuesday with JCK Luxury. This is an invitation-only event that caters to the high end luxury portion of the industry. It’s traditionally a quiet show, serving as a prelude to the larger events later in the week. The event begins following several weeks of positive reports for the U.S. jewelry industry as independent jewelers and large chains have experienced strong growth for the first quarter of 2013. It’s too early to tell whether the good news has resulted in stronger business going forward. However, there were interesting things to see. The most popular diamond jewelry gifts over the last quarter century have clearly been Diamond Stud Earrings and Diamond Tennis Bracelets. They are both stylish, have classic elegance, and can be worn both casually, as well as to the most formal occasions. They remain key symbols of style and elegance in modern society. The Diamond Tennis Bracelet is a beautiful, extremely sought after and desired accessory that continues to rise in popularity. 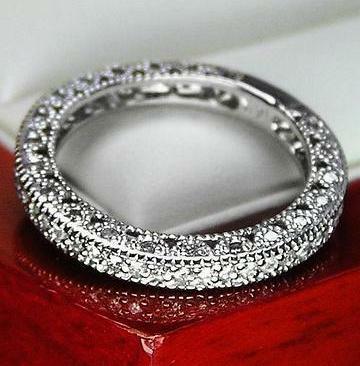 It consists of a row of diamonds set in a fluid, almost, seem-less bracelet. Where it differs from most other bracelets is the diamonds go all around the entire length of the bracelet. This eliminates the need to constantly check if the diamonds are sitting on the top of the wrist, always remaining visible to all. 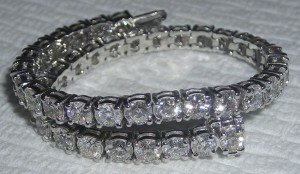 Up until 1987 this style of diamond bracelet was known as an in-line bracelet or eternity bracelet. In 1987 at the US Open Tennis Championships, tennis great Chris Evert was in the middle of a match when she noticed her diamond bracelet was missing. The bracelet was set with diamonds in a row across the length of the bracelet. Ms Evert asked the officials for some time to look for the bracelet on the court, which they kindly agreed to. Once found and secured the match continued. This was all viewed by a national television audience of millions, along with the movers and shakers in attendance at the New York venue. This tennis match was not only part of the elite grand slam of championship tournaments, but also left its mark on the diamond jewelry industry. The match marked the beginning of the in-line diamond bracelet or the eternity bracelet being referred to as a Diamond Tennis Bracelet because of this incident. Customers began flocking to their jewelers asking for that ‘diamond bracelet from the tennis match’. The tennis bracelet has been very popular not only amongst tennis players, but also by all women who are now wearing it daily around the world. The bracelet is light in weight and very flexible, making it extremely easy to wear. Tennis Bracelets are available here at NYC Wholesale Diamonds not only in diamond; but also Sapphire, Ruby, Emerald, Tanzanite, and all the Birthstones. Combinations include alternating diamonds with all these gems, as well as Sapphire Tennis Bracelets that blend a rainbow array of all the different shades of sapphire. Diamonds, a better safe haven than Gold? The following is an article written by Suzanne McGee from the MSN Money Website. It is a wonderful follow-up to the May 10 NYC Diamond Blog post ‘Diamond Mutual Funds are Coming’, but with a fascinating new twist. In the last paragraph I added in bold a suggestion that as a result of the introduction of Diamond Funds, consumers might just receive something they have desired for decades. That is the first ever Spot Market Price for Diamonds. The collapse of gold prices earlier this spring seems to have been met with a kind of muted elation from those promoting the idea that diamonds, like the precious metal, could become a recognized asset class and another form of haven investment. It’s perfect timing for the diamond industry: With an exchange-traded fund backed by diamonds due to roll out sometime next year, once it has received the stamp of approval from the U.S. Securities & Exchange Commission, supporters of the idea admit that they need to educate investors in North America on the advantages of diamonds as investments. “America views diamonds primarily as pieces of jewelry; in places like India, China and Russia, people traditionally have viewed them as investible assets,” says Kristopher Schellhas, managing partner and co-founder of the Los Angeles-based Investment Diamond Exchange, which offers a marketplace for trading the precious gems. Schellhas is correct about that: For centuries, diamonds have been a way for the wealthy or merely affluent to make their riches readily transportable in times of peril. But does that make them a good investment idea? Until now, investing in something that is simply called a “diamond” has been a bit like buying a work of art referred to as a “Picasso.” Just as you don’t know whether the latter is a reproduction, a sketch by the artist himself on a piece of newspaper, or the massive “Guernica,” in the case of diamonds an investor wants to be sure he or she is getting something of value, not a tiny chip off a muddy, poor-quality stone. The goal is to create a homogenous group of diamonds with clearly defined characteristics that are indistinguishable from each other — a range of sizes is fine, but all should be a generic round brilliant cut, and have a top-tier clarity rating. (If you want the full details, check out the patent application). With the patent in place, GemShares has created something as close to a commodity as may be possible in the world of precious stones, given that no two diamonds ever will be identical. But simply being objects of value and becoming fungible enough to be defined as a tradable asset class won’t be enough to make diamonds a mainstream commodity investment — for reasons that go well beyond their very speculative nature. Gold, for instance, has been traded on open markets for generations, resulting in a benchmark price for the physical item that has been transparent. In contrast, the history of diamond pricing is murky indeed: For most of the last century or more, prices were largely under the control of the De Beers syndicate. When the market changed, De Beers simply refocused its marketing strategies to keep prices high. For instance, when an influx of new, smaller diamonds from the former Soviet Union hit the market in the 1950s and onward, it pushed the idea of the eternity ring, made up with lots of smaller diamonds. An open market has only begun to develop since 2005, when De Beers finally agreed to resolve several U.S. class action suits by plaintiffs alleging price-fixing. In other words, investors looking for a history of price discovery will seek in vain. The question of near-monopolies in the diamond mining industry still exists as an investment risk, according to the diamond ETF prospectus filed with the SEC. “Large companies represent a sufficiently large share of the diamond supply and intermediate demand in the production cycle,” the prospectus spells out, that their activities may weigh on prices. Another issue that Schellhas identifies as a plus for the ETF is labeled a risk in the prospectus. The ETF will be backed by a physical inventory of gems (just in case you want to take delivery of your investment at some point in time) and not just mirror the performance of the assets on paper. That means that GemShares will be buying diamonds to deposit into the trust backing the ETF. To Schellhas, that’s good news: it will buoy diamond prices. But that may also mean that the price of the initial units will be higher (because of the larger prices paid for the diamonds) and that since this demand isn’t sustainable or ongoing, there may be a selloff in the aftermarket. Then there is the pesky question of liquidity, both for diamonds themselves and for the ETF. The diamond investment market is still embryonic and risky for those who aren’t pros. For ordinary investors — the kind for whom a loss can be a real setback — it’s too early to contemplate investing in diamonds, however disappointed they may be with gold prices right now. Yes, there is potential for diamond investing to grow. As Schellhas points out, while about 40% of the gold market is dominated by speculators or investors, only about 1% of the diamond market is made up of speculative activity. But speculation isn’t long-term investing. And even if diamond supply does remain static while the number of middle-class households grow worldwide, that isn’t to say that those middle-class consumers will choose to spend their new disposable income on diamonds. Questions of price transparency and liquidity alone make this a risky bet. It’s telling that Schellhas describes the ETF as the vehicle that will end up creating the first spot market price for diamonds. Typically, a commodity-related structured investment product makes its debut in the wake of the establishment of a reliable spot market with a history of price transparency. This time, the promoters of the diamond ETF seem to be doing it the other way around, relying on the product itself to generate enough buzz to make it a success. That’s hardly the kind of risk-free strategy you’d want to find in a safe haven investment. Family heirlooms are often packed away for safe keeping. For one man from China, hiding a 26-carat black diamond worth $14.5 million was not in his plans. A businessman from Hong Kong commissioned craftsman Stuart Hughes of Liverpool to help him show off his family treasure. The result? An iPhone 5 boasted by Hughes to be “the world’s most expensive phone,” valued at $15 million. According to Hughes’ website, this iPhone includes 600 flawless white diamonds, a full solid gold dressing and 53 diamonds on the rear that make up the iconic Apple logo. However, the reason this particular iPhone is so valuable is on the face of the phone. The Chinese businessman, identified only as “Joe,” contacted Hughes and asked to have a rare, black diamond incorporated into the iPhone. “It’s not often that people get to deal with a very, very rare diamond,” Hughes said. Hughes said he was contacted 18 months ago by Joe, who expressed interest in his gold chassis iPhone handsets. Joe then told Hughes about the black diamond that had been in his family for generations. Hughes spent nine weeks creating the solid gold chassis of an iPhone 5 and then placed the black diamond as the home button. The appraisal Joe had done on the black diamond put its value at approximately $14.5 million, according to Hughes, who said he saw the certificate of authenticity. Hughes told CNN that one of the solid gold handsets with the diamonds that he crafts is worth approximately $153,000. “We had a tech guy in Macau who was able to set the stone, which to this day has never left China,” Hughes said. 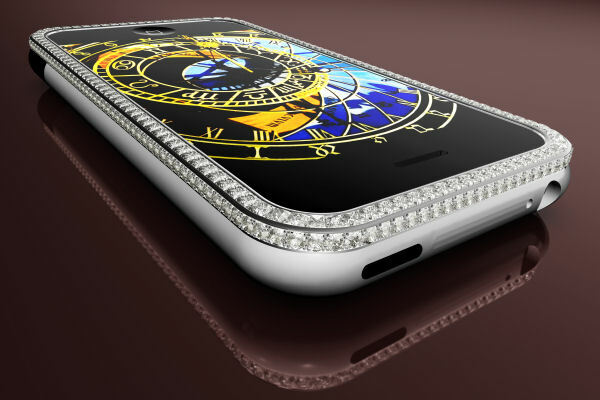 Hughes set a record in 2011 for crafting an iPhone 4S with 500 individual diamonds, totaling more than 100 carats. That phone was estimated to be valued at $9 million. The 42-year-old craftsman is known for making lavish and expensive items, including an iPad made of solid gold he debuted two years ago. Throughout the years and his many projects, Hughes said this particular handset is right up near the top of the most lavish projects he’s completed.